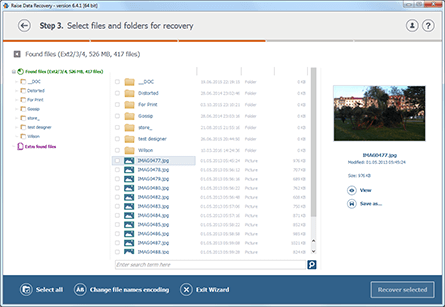 Recovering lost or deleted files from NTFS file system created with any modern Windows operating system. 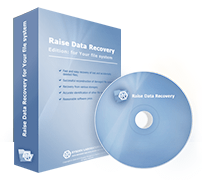 Raise Data Recovery for NTFS can only access and recover data from NTFS file system. Recognition of other file systems is implemented for informational purposes only. NTFS system features one of the best data recovery chances on condition that lost data are not overwritten. 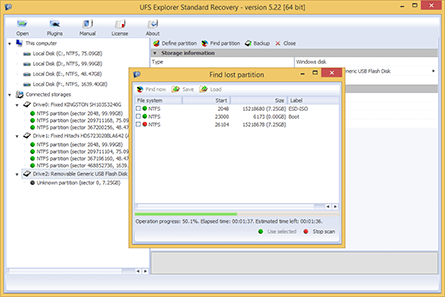 Raise Data Recovery for NTFS enhances he likelihood of exact recovery of files lost and deleted from partitions and storages formatted with this system. The software is adopted to search for lost NTFS-formatted file systems and recover lost or deleted files efficiently. The software allows to access data on all the supported file systems, including file systems stored on disk images, virtual disk, RAID storages etc. without the need of prior scan. The software copies files with the size under 256KB only.